All of the publications that independent journalist Mathias von Hofen writes for wouldn’t be able to fit even on an unusually large professional card. There is Wirtschaftswoche, Bayerische Staatszeitung, Wirtschaftszeitung, Nürnberger Nachrichten and Weserkurier, along with several online media outlets and local political science centers. At the “It’s Time for Moscow” international media conference in Russia, he represented Wirtschaftszeitung – a local monthly financial publication for for Eastern Bavaria. Its editorial office is located in Regensburg, where the Danube and Regens rivers meet. The economic power of Bavaria, which is an important region in Europe, can be illustrated by the following indicator: the gross regional product of the state amounted to 595 billion euros in 2017. And the gross regional product for Lower Bavaria (Niederbayern) and Upper Palatinate (Oberpfalz), where Die Wirtschaftszeitung is especially popular, hovers around 36,000 – 39,000 per capita. In both of these administrative districts, 270,000 people work in manufacturing. Mr. von Hofen, you’ve been in Moscow, in Russia, several times. How often do you come here and for how long? Do you come here for work or also for leisure? I come to Moscow once or twice a year, and I usually stay for at least a week. I mostly come for work, but I also use my time here to meet with friends and colleagues. Do you ever feel trapped by the stereotypes people have about the Russian capital? Maybe not anything grotesque like bears roaming the streets near the Red Square and drinking vodka, but still? Unfortunately, a lot of Germans still think that Moscow is a dangerous city. They still imagine the 90s, which weren’t safe. Many people are surprised when you tell them that Moscow has become a safe city for the most part. A lot of Germans also think that Moscow isn’t a friendly place, and is very expensive. The best option is to tell people like this to go visit Moscow themselves at some point. Do you have any favorite places in Moscow? I especially like the park and palace at Tsaritsyno, and Kolomenskoye. Both places are far away from the noise, the hustle and bustle of the city. What do you find most appealing about Russia? The people, nature, architecture, something else? I’m especially interested in Russian history. I like going to exhibitions, like the ones at the History Museum. Plus, I really value Russian literature, especially Dostoyevsky, Pasternak, and Turgenev. But I also like Russian nature, especially big rivers like the Volga. Moscow has been developing very quickly recently. In your opinion, which changes are the most noticeable? It’s really noticeable that a lot of resources have been invested in Moscow over the past few years. The city has become greener, cleaner, and more comfortable. I’m especially impressed with the establishment of many new parks and green areas, bicycle lanes and significant improvements to public transport, such as the opening of new metro lines. I’ve already been to different Russian cities, but haven’t seen modern infrastructure like Moscow has anywhere else. Do other cities have anything to learn from Moscow? Other cities can look at Moscow’s experience to learn how to get through complicated economic situations, and come out of a crisis stronger. Moscow is also an example to many cities in terms of urban planning. Public transportation works well. Especially the metro works remarkably well, and there aren’t long waiting periods between trains. Over the past two decades, Moscow has also made great strides in terms of establishing green areas and squares compared to the majority of European cities. Of course, Moscow really had to make up for lost time here. But they accomplished a lot more. How would you assess economic cooperation between Germany and Russia as a whole, and cooperation between Bavaria and Russia in particular? There is intense economic cooperation between Germany and Russia. Still, there was a decline in trade volumes between Germany and Russia in 2014-2016. Last year we saw significant growth again. I think we should increase cooperation even more in the future. The German economy needs to take into account economic progress in Russia outside the scope of the oil and gas sector. The food sector, the pharmaceutical industry, engineering, tourism, and the agricultural sector present a lot of starting points for collaborations. It would also be good to see cooperation between medium-sized enterprises yield results. This segment is not as strong in Russia yet, and assistance from German companies would be helpful here. Bavaria has particularly strong economic ties with Russia. Bavaria is in the lead among all states in Germany in terms of trade with Russia. Relations with Russia are supported by the Bavarian State Government. Former Bavarian Prime Minister Seehofer has visited Moscow several times. The Bavarian government is more open to relations with Russia than the federal government. Bavaria makes sure to maintain a good relationship with Russia. Unfortunately, this commitment isn’t always fully appreciated in Brussels and Berlin, as one Bavarian minister told me. Is there a chance that the continuing sanctions against Russia will negatively impact this cooperation? As I already pointed out, trade between Germany and Russia has been on the rise again since 2017, after several year of decline. Without the sanctions, German-Russian trade relations would likely be stronger. I often attend meetings at events organized by the Bavarian Industry Association in Munich, and I see that the sanctions against Russia are frequently the subject of criticism. I can’t say that the sanctions have resulted in any progress in terms of negotiations regarding the Ukrainian crisis. They’re not a replacement for political dialogue. How are German companies doing on the Russian market right now? Companies that I’m in contact with have different opinions. Some of them feel less confident because of the sanctions, but overall people are optimistic. It seems like they’ve adapted to the sanctions. The constantly fluctuating oil and gas prices are a factor of uncertainty. Some companies would like to see improvements in terms of cutbacks in bureaucracy. But in this sense Moscow does a lot better than a lot of other Russian regions. Nord Stream 2, one of the biggest economic cooperation project between the two countries, has advocates but also faces some opposition. Some people think that the pipeline will help make supplies of natural gas to Germany safer and more reliable. Others think that implementing the project will make Germany more dependant on Russia. What is your opinion? 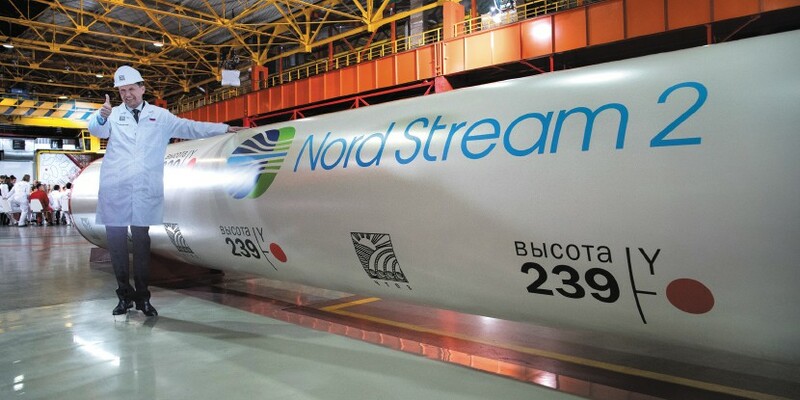 Nord Stream 2 is in the best interests of both Russia and Germany. It’s an advantage when there is a direct link between Russia and Germany that doesn’t go through transit countries. It’s obvious that this is how the majority of German politicians see it. It’s worth noting that in spite of criticism from the EU, US, Poland, Ukraine, and Baltic countries, Berlin continues to hold on to this project. But even with this issue Frau Merkel has to take the US and some other Western European countries into account. The compromise that was reached during negotiations with Russia – that Russian gas will continue to be sent to Western Europe through Ukraine – is a big favor to Kiev. I’m not afraid of being too dependant on Russia. Moreover, Russian natural gas is cheaper than American liquid gas. This is one of the reasons the US government is putting political pressure on Germany right now, to stop the Nord Stream project. On the other hand, Russia depends on oil and gas exports. The raw materials sector comprises over half of all Russian exports. Russia would suffer big losses if it boycotted gas deliveries to Western Europe. This is why the Russian government isn’t interested in using gas as a political weapon against Germany and Western Europe. Do you agree with the opinion that Germany is fully controlled by Russia due to gas supplies? How does this claim square with the fact that Russia has been supplying Germany with gas for the past 35 years? Has Germany been under Russia’s control the whole time? Germany has absolutely not been under Russia’s control for the past 35 years. Trump’s statement about Germany being dependent on Russia is absurd and is pure agitation. Germany has been looking after its own interests with respect to Russia over these past 35 years and has taken political conflicts into account. I think that the politicians in Washington know this. But, as I already said, they’re primarily concerned with selling American liquid gas in Europe. But in this case they should say so openly. Germany has been getting natural gas from Russia since the 1970s, and not once has gas been used as a weapon against Germany. Germany has always had positive experiences with Russian gas supplies. Of course, it’s important for Russian prices to remain predictable in the future. Then, Russian pipeline gas will continue to be a better deal than American gas or liquefied gas from Qatar.